There is a lot of small protoplanetary discs (proplyds) and Herbig-Haro objects which are visible on this photo also. Of course the best visibility of this objects is in HST pictures and pallete but in LRGB you can find also some signs of it. 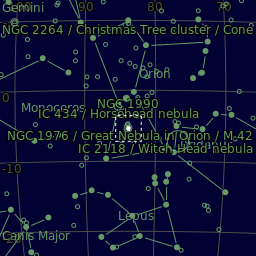 During aquisition nebula was only 25 degree above horizon.